Attention Sun Lovers & Wrinkle Haters: You Can Reverse Sun Damage! Home » Blog » Attention Sun Lovers & Wrinkle Haters: You Can Reverse Sun Damage! As Floridians, one thing is for certain—we love the sun. Even if you’re not a fan of going to the beach or lazy days spent outside there is no escaping the sun’s powerful rays. As the sun provides us many overall health benefits, it can also be detrimental to our skin. At ImageLift, wrinkles, brown spots, thinning skin, and discoloration are just some of the chief complaints we hear about sun damage every day. I wear sunblock every day, why does sun damage keep appearing? The sun is responsible for 90% of the wrinkles and blemishes associated with premature aging. Unfortunately, the majority of this damage occurs before your 21st birthday. You can be the biggest advocate of wearing sunscreen as an adult, but if you didn’t apply sunscreen during the sun-filled adventure days of your youth sun damage may keep appearing as you age. Regardless, it is never to late to protect your skin! People today are taking better care of themselves, and living much longer – yes you too!! So how do I get rid of my wrinkles and sun damage? ImageLift is here to give you the solution! We are your local experts for correcting the unsightly symptoms of sun damage, and helping you feel like you again. After you set up your complimentary consultation, one of our double-board certified facial plastic surgeons, Dr. Rich Castellano or Dr. Randall Weyrich will evaluate which sun damage reversal treatment method is right for you. Our most popular sun damage treatments include laser technology, like the highly effective CO2 laser treatment, peels, like the PCA Peel with Hydroquinone and Resorcinol, and prescription-grade topical products containing tretinoin, which is FDA approved for anti-aging purposes. What is the CO2 laser treatment, and how does it work? Laser technology is highly effective for reducing both wrinkles and patches of discoloration. ImageLift offers a variety of laser treatments for the reduction of sun-damaged skin, smokers’ lines, wrinkles, and sun spots. CO2 is a popular treatment, and it can be performed with light or deep settings, depending on the downtime desired. CO2 laser technology has the longest wavelength of any of the lasers on the market today, going slightly deeper into the skin tissue and shrinking collagen. This can be performed in the commonly known “Fractional” treatment, which delivers tiny pin-points of laser to the skin, or a full surface treatment, depending on the result and recovery desired. This treatment is best for people between the ages of 40 and 70 with moderate acne scaring, sun damage, or deep wrinkles. And remember… The most important decision is not which laser you choose! Rather, the most important decision you make is choosing the EXPERT that is using the laser. What about the peels and topical treatments? Depending on the nature of your sun damage, the physicians at ImageLift may prescribe a variety of peel treatments and prescription gels in combination with one another. The PCA Peel with Hydroquinone and Resporcinol is a popular peel for fighting sun spots and sun damage. This highly effective peel helps improve overall appearance of skin tone, while exfoliating and restoring resiliency to even the toughest skin types. Hydroquinone is the component that promotes even skin tone and resorcinol is a flaking agent that reveals the more youthful layers of skin below the surface. ImageLift also offers products containing tretinoin a powerful ingredient found in prescription grade topical medications for the reduction of acne, fine lines, and sun damage. 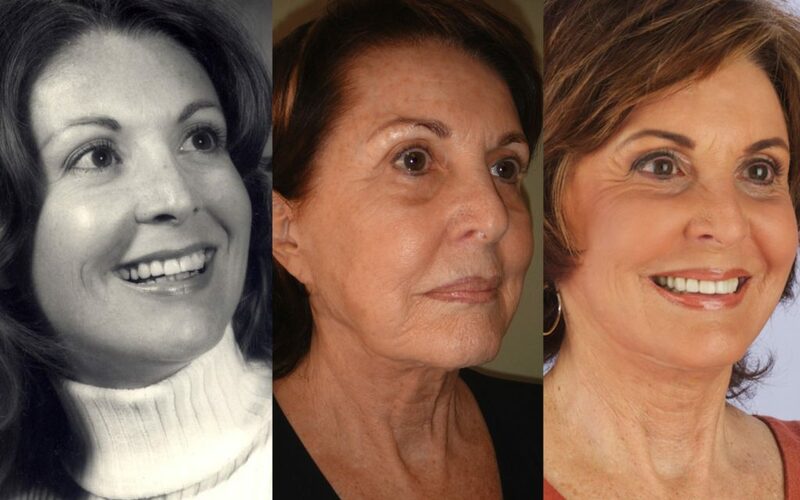 It is never too late to restore your beautiful, healthy-looking skin. If you’re ready to change your life, and take years off of your appearance, contact one of our Patient Care Coordinators today! ImageLift offers free consultations, and complimentary seminars in your area! We look forward to hearing from you!